At Selikoff & Cohen PA, we take a results-oriented approach to every labor, employment and workers' compensation case we handle for our clients in Mount Laurel, New Jersey, and throughout the central and southern parts of the state. We are proud to have been named a 2017 Best Lawyers - Best Law Firms by U.S. News & World Report. In addition, our attorneys have received multiple Super Lawyers designations. 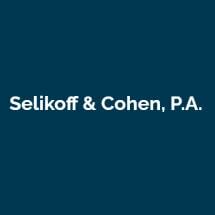 All of our attorneys here at Selikoff & Cohen PA have a thorough understanding of the diverse needs of employees and labor organizations. We are dedicated to providing comprehensive legal representation in all types of labor law, employment law and workers’ compensation matters. Cumulatively, we have nearly 100 years of experience representing our clients in the field of labor and employment law. Our law firm is committed to giving personal attention to our clients in a friendly environment. We take the time to fully understand our clients’ objectives and advocate for what is rightfully theirs. Our prime objective is always to produce the best possible outcomes for our clients in an efficient and cost-effective manner. We know what steps to take when challenging denied workers’ compensation claims or unsatisfactory settlement offers, and we aggressively advocate for our clients. We also offer free initial consultations and accept credit cards. Our attorneys have a combined total of more than 125 years of experience and have been responsible for precedent-setting case law in the areas of employment law and public sector labor law. Labor and employment law addresses the legal rights of and restrictions on working people, their employers and their unions. Selikoff & Cohen’s labor law practice includes counsel, grievance administration and arbitration, and filing and litigating a broad range of cases at the Public Employment Relations Commission (PERC) and the National Labor Relations Board (NLRB). Selikoff & Cohen represents clients both in the filing and litigation of these claims. Selikoff and Cohen, P.A., is committed to protecting the rights of injured employees and to securing for them the maximum benefits available under the workers’ compensation system.